Spideo, leader in content personalization and analytics for creative industries, announced today that Anime Digital Network ADN had chosen and successfully implemented its solutions to enhance personalization and discovery for its VOD streaming plateform. Thanks to Spideo’s features, including content to content recommendation – related content & thematic lists – and the battle module, ADN’s subscribers and users will discover a fully personalized experience with smart and relevant suggestions for animation movies, anime series, and dramas. « We are very happy to work together with ADN to help users discover the full extent of their anime and manga catalog. This is another great addition to the creative industries we are serving today with our powerful personalization and analytics features. Spideo will help ADN to collect smart data about the content their users love and our ‘battle module’, a great tool for user onboarding, is the perfect way to avoid a cold start and personalize the experience by selecting favorites in a playful way. » said Elize BOSKER, Head of Product at Spideo. « We are more than happy to work with Spideo and hope our collaboration will offer the best experience to our subscribers and new users. With Spideo solution, we want to put the customer in the center of our strategy and growth the engagement, the retention and also provide the best entertainment experience with a better understanding of our audience » said Julien LEMOINE, CEO of Anime Digital Network. As a 7 year old company, Spideo has built its technologies on a deep knowledge of the personalization challenges, offering its modular toolbox and expertise to platforms such as the Canal+ group, Bouygues telecom and Televisa. Spideo’s features reveal the reasoning behind recommendation intelligence – using natural language -, in order to provide trustworthy and personally relevant suggestions, easily understood by end users. It’s algorithm does not require sensitive user data to provide personalisation and enables users to interact with the features and adapt their experience around the content that matters most to them. Spideo’s unique API-based solution helps content providers and distributors better understand, engage with and monetize their users. 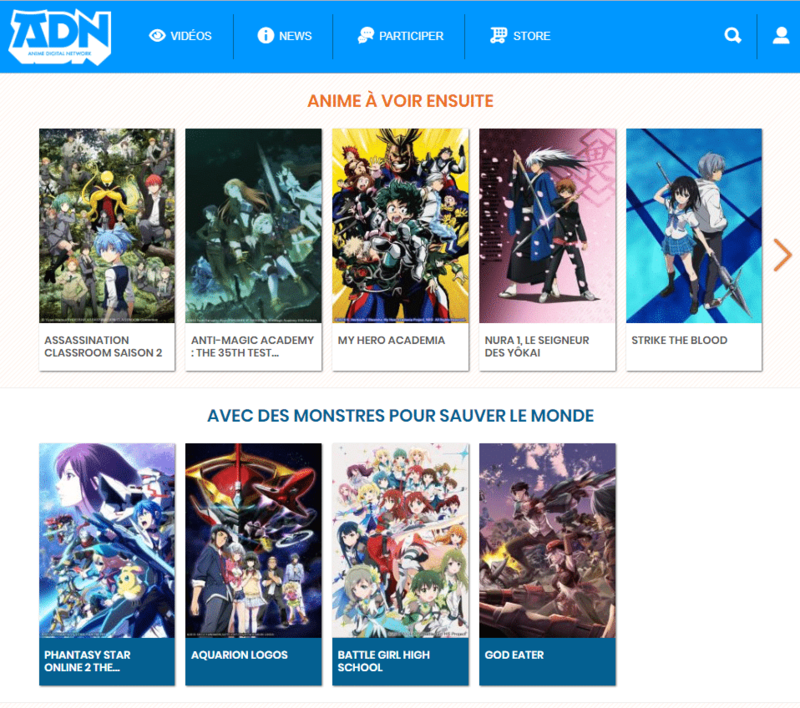 ADN is the biggest French platform dedicated to Japanese animation on video-on-demand (VOD) with more that 6000 episodes. Launched in 2013 by Viz Media Europe it merges the catalogs of publishers Kazé and Kana Home Video publishers in order to offer the best video experience. ADN offers a constantly enriched catalog of films, dramas and series adapted from popular mangas in Japan. ADN deliver programs one hour after their broadcast in Japan and deliver the best of Japanese pop culture in real time (Japanese dubbing with French subtitles and/or French dubbing).